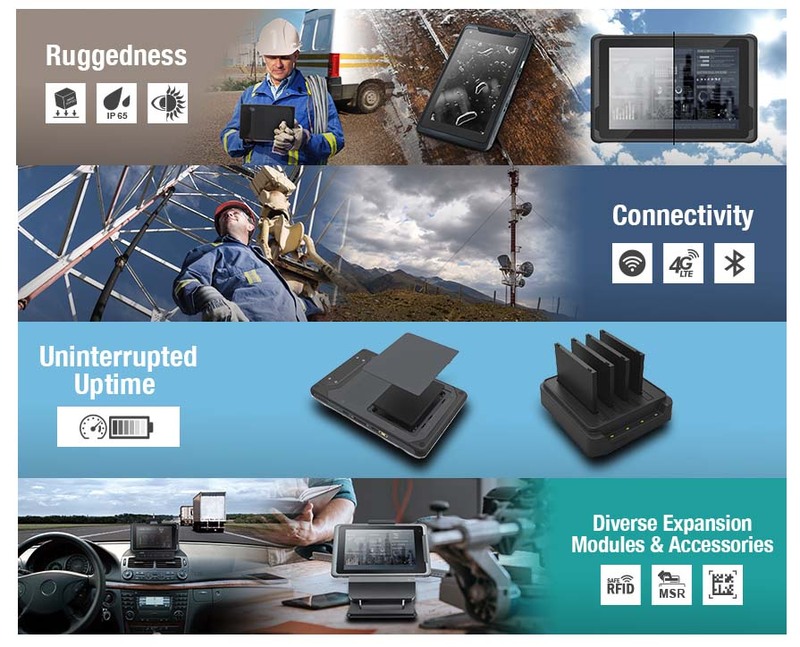 Advantech’s AIM series tablet features an Intel® Atom™ x5-Z8350 processor with dual OS support and a lightweight (600 g), fanless design to ensure maximum portability and configuration flexibility. Built-in Wi-Fi, NFC, 3G/4G LTE, and Bluetooth 4.0 technology is provided to enable high-speed data transmissions and real-time communication with backend control systems. The AIM series tablets can be integrated with a wide range of extension modules, including a 1D/2D barcode scanner, magnetic stripe reader, and IC card reader, to provide maximum flexibility and functionality for diverse applications.